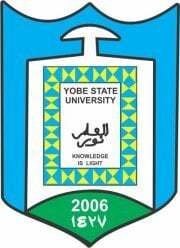 Yobe State University, YSU supplementary UTME admission list for the 2018/2019 academic session. The management of the Yobe State University (YSU) has released the supplementary UTME admission list for the 2018/2019 academic session. YSU supplementary admission list which contains the names of candidates offered provisional admission into the university various degree programmes has been successfully uploaded online. Yobe State University Supplementary Admission List. The under-listed candidates have been offered Provisional Admission into Yobe State University (YSU) Degree programmes for the 2018/2019 Academic Session. Get your YSU Admission Letter. Congratulations to all the UTME candidates that made it to Yobe State University Supplementary admission list.